Some other retailers aren't that Super or Cheap after all. Same Brand. Same Part. Not the same Price. Some other Parts retailers may not be so Super or Cheap after all. We’d like to know how some other Parts retailers can claim to be so Super or Cheap when often we sell exactly the same Brand and Part for much, much less. The level of savings will of course vary across our wide range of Parts pending your vehicle and fitment, but we think our prices are some of the most (if not the most) competitive on the market. 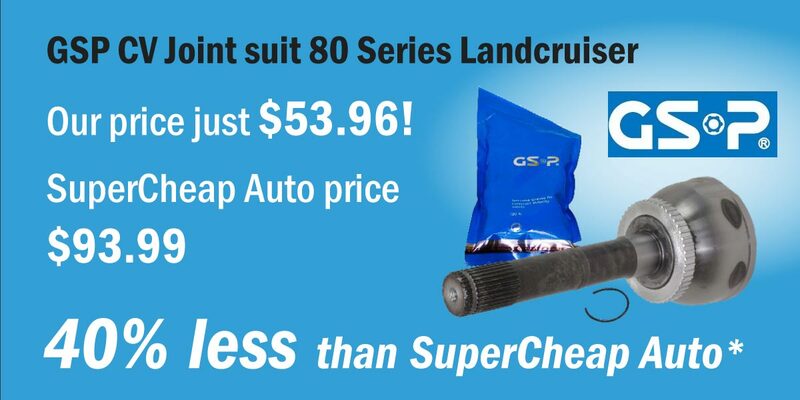 Our Super Saver members automatically save even more on every purchase! * Not a member? No problem, it's Free to join, simply Sign up & Subscribe to Save! Ever wondered how we can keep our prices so damn low every day? It’s pretty simple really. By specialising in Online Sales and removing a bunch of Middlemen markups (importers, wholesalers, resellers) we can pass our operational savings on to you. We understand that quality, performance and price are all paramount to our customers. That's why OnlineAutoParts.com.au ensures our range is made up of leading brands you know and trust like Bosch, Bendix, Stebel, Etecno, Tough Dog, PolyTuff and more. We also stock some newer brands offering exceptional value for money without sacrificing on quality including Tora, Cozza, Matsumo, AutoNova, BluPac and PolyFilm. 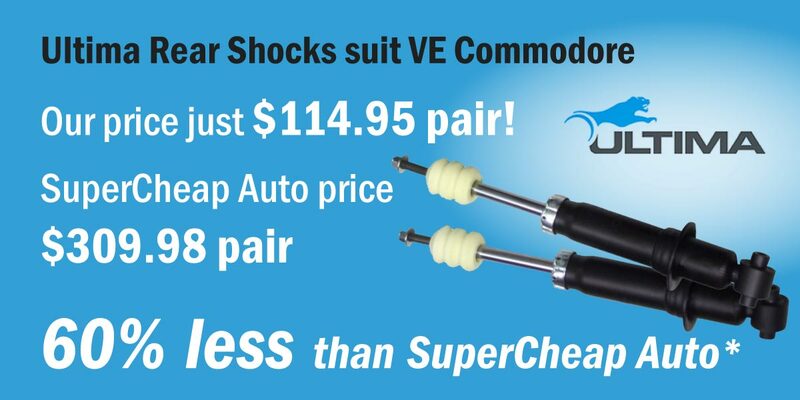 *Comparison pricing data: Non-sale prices for same part suit 2008 VE Commodore and 1998 80 series Landcruiser at OnlineAutoParts.com.au (Virginia) compared on 18/4/18 to supercheapauto.com.au (Nundah store), vehicle data loaded for fitment. No shipping. Other makes and models may be less or more than pricing example. We'll help you keep your Car or 4X4 on the road for a hell of a lot less. *Cars pricing example: Suit 2008 VE Commodore. 4x4 pricing example: 1998 80 series Landcruiser. Non-sale pricing accurate at OnlineAutoParts.com.au on 18/4/18 with vehicle data loaded for fitment. No shipping. Other makes and models may be less or more than pricing example. Check out our full range of Parts and find out how much you could save! OnlineAutoParts.com.au stocks a wide range of New replacement Parts (often well below RRP). Get the right Fit for the right Price, delivered fast.